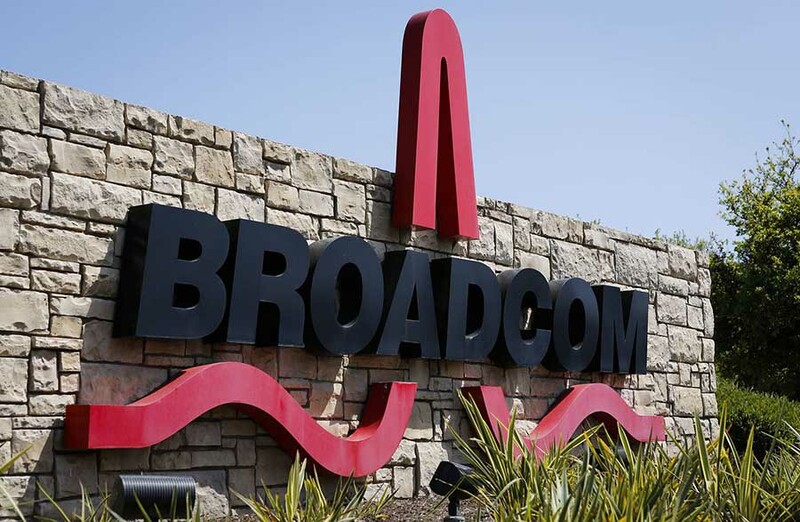 Broadcom Inc., the semiconductor maker that last month abandoned its hostile bid to acquire rival Qualcomm Inc., said its board approved a stock repurchase program of as much as $12 billion. The San Jose, California-based company, which makes chips for mobile phones, said it will buy back stock using various methods, including purchases on the open market or in private transactions. The program may be suspended or ended at any time, Broadcom said Thursday in a statement. The chipmaker recently moved its headquarters from Singapore back to the U.S. Broadcom was forced to drop its $117 billion pursuit of Qualcomm after President Donald Trump banned the potential deal on the grounds that it posed national-security risks. Broadcom shares jumped about 4 percent in extended trading following the buyback announcement. The stock ended regular trading little changed at $239.43, leaving it down 6.8 percent this year. At that price, the company has a market capitalization of $98.3 billion. The company already pays a regular dividend that offers a higher yield than rival chipmakers including Intel Corp. and Texas Instruments Inc. Semiconductor-industry companies have focused increasingly on investor payouts as overall growth has slowed and they’ve devoted less cash to expansion plans. Previous article DEZ BRYANT RELEASED BY THE DALLAS COWBOYS!